36,807 fans watched the game from FedExField in Landover, Maryland, the home of the Washington Redskins. Navy's 39 points are the most points scored against Notre Dame in a regulation game and the second most all-time. Navy's 454 yards of offense are the most Navy has gained against Notre Dame since 1972. It's also the second most all-time. 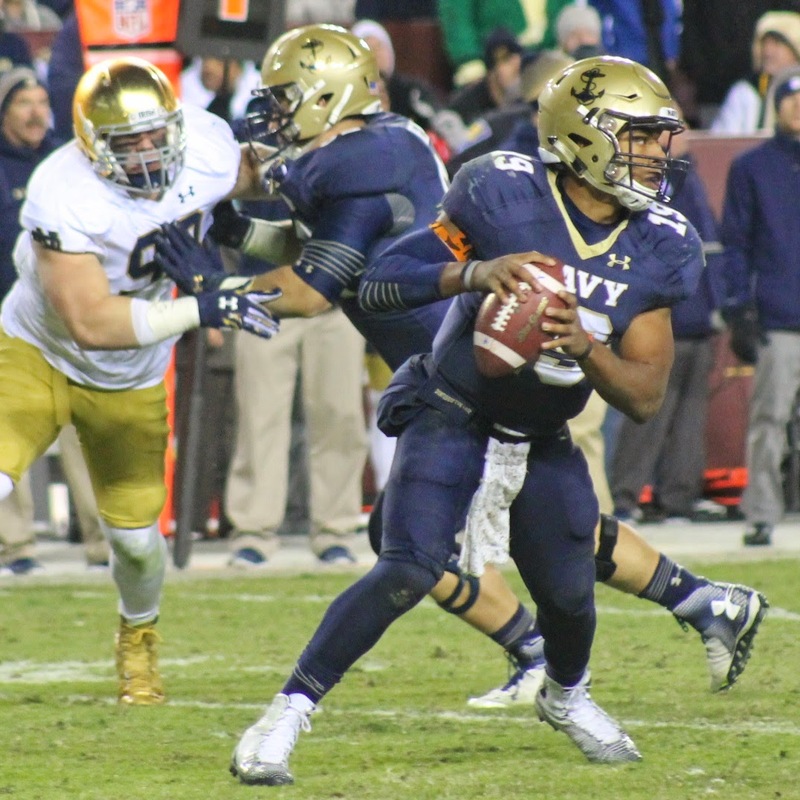 Keenan Reynolds moved into fifth place on Navy's career rushing list with 2,681 yards. Noah Copeland rushed for 138 yards, his seventh career 100-yard game. Notre Dame improves to 75-12-1 all-time against Navy. Notre Dame has scored at least 40 points against Navy three times in the last four years. Everett Golson became the first player in Notre Dame history to both rush and throw for three touchdowns in the same game. The Mids 336 rushing yards were the most against Notre Dame this year.